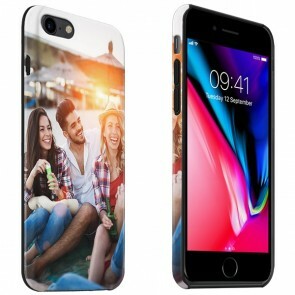 Designing a custom iPhone 8 case is a fast and fun process at GoCustomized. 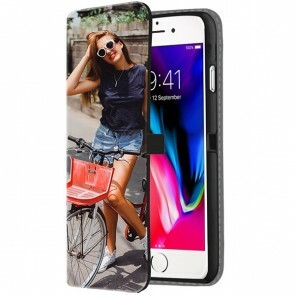 Would you like someone to notice your case from the mass of boring phone cases? Then start designing quickly! We use a design module that is very easy to use and it has all the options to make your case the way you want it! Upload a photo of a fun holiday so that every time you look at your mobile phone you remember all the good times. 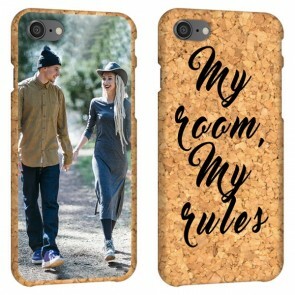 You can also add text to your design of your totally cool personalized iPhone 8 case. Add an inspirational quote or a special date for example. 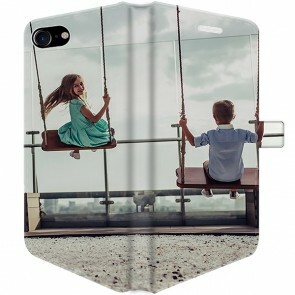 When your design is complete for the iPhone 8 - your case is done! 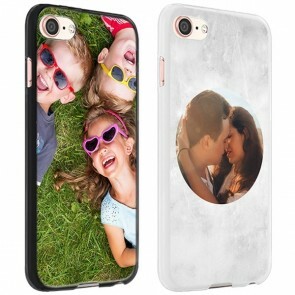 Order your personalized phone case so you can enjoy it as soon as possible! 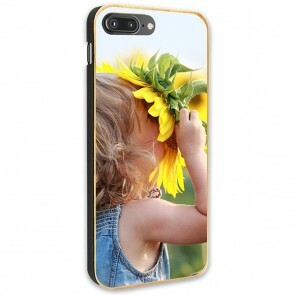 The iPhone cases are, besides being very fun to design, practical too. 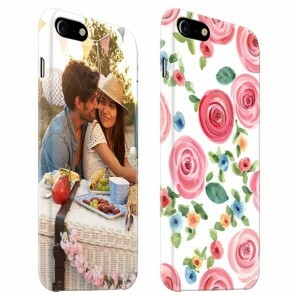 The covers provide excellent protection for your phone. We also offer plenty of choices for different models, making sure that there is a case for you to design. Do you want to have less things with you - only a few bank cards and your phone? Then the wallet case is something that might interest you! Are you someone who often drops their phone and are worried that it could break at any moment? Then the tough case is a good case for you! 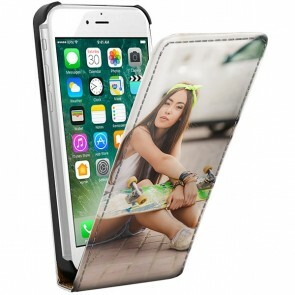 This has a double protective layer that can protect your phone from the potential dangers of every day life. 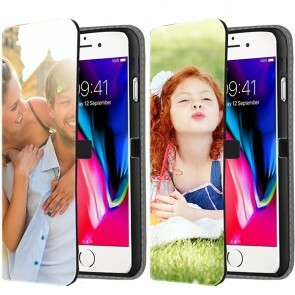 Start designing your iPhone 8 case now! You can start in a few easy steps. 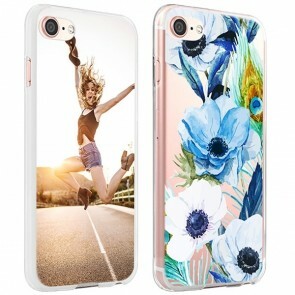 First select the case that you would like and click the "design now" button. 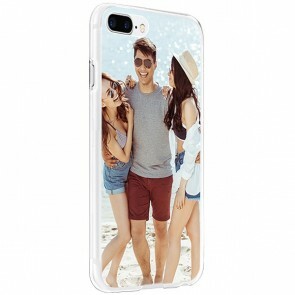 After you are taken to the customizer where you can upload your photo and start creating your perfect case. 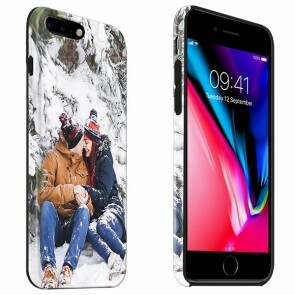 Do you still have questions about making your iPhone 8 case? You can always contact us by email. Together with the support team we will quickly provide an answer.